It may look cheap and plain but this little phono preamp is legendary for its audio performance! The Gram Amp 2 Communicator phono preamp is THE phono preamp that first made the GSP name synonymous with superior vinyl reproduction and incredible sound staging! A phono stage/preamp for moving magnet, high output moving coil and moving iron phono cartridges. The Era Gold V phono stage preamp is for moving magnet, moving iron and high output moving coil phono cartridges in the range 2mV to 10mV. "This amazing-sounding product took me by surprise. 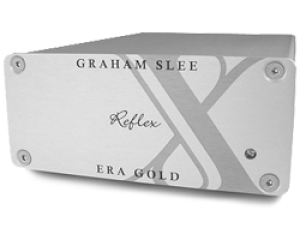 I continue to recommend it for high-output moving coil cartridges..."
The Reflex M phono stage preamp is the new one box solution for Moving Magnet Cartridges - capable of high end performance. 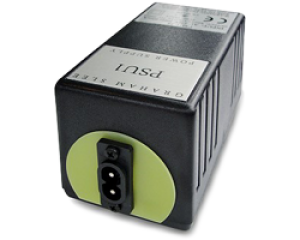 The Reflex C phono stage preamp is the new one box solution for conventional (low) output moving coil cartridges having an output of 0.2 to 1.0 mV. "...the musical delivery steps up several levels - to the extent that with certain records it starts to challenge the musical virtues (as opposed to the sonic qualities) of the more expensive units here." Revelation C phono stage preamp: for low output moving coil cartridges. Capable of high end sound with huge levels of flexibility. The Jazz Club multi-curve switched EQ phono stage/preamp isn't just for jazz - it's for all records!